Want to learn how to make a delectable dessert that is cute but not loaded with lots of sugar? 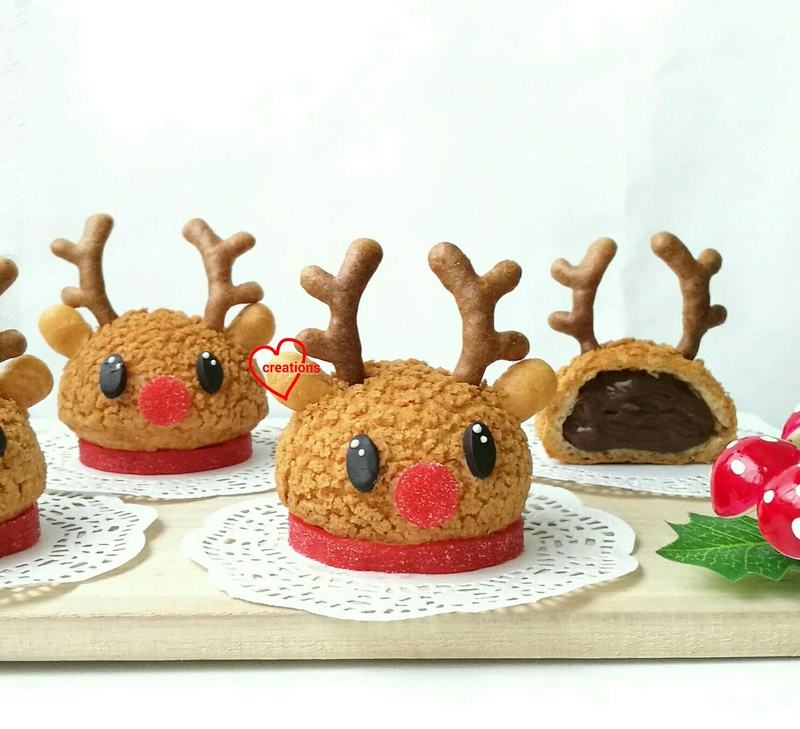 Come and join me for a class to learn how to make this light and crispy reindeer choux pastry filled with rich and smooth chocolate pastry cream! You will learn how to make use of cookie dough to create nicely rounded choux buns, how to use choux pastry batter to create small features such as the ears and antlers, how to make the chocolate pastry cream and how to put everything together to make this design without the use of fondant. Please click on this link for more details and to register. Hi Phay Shing, any chance of having a class on another day? That's great but what is IG?